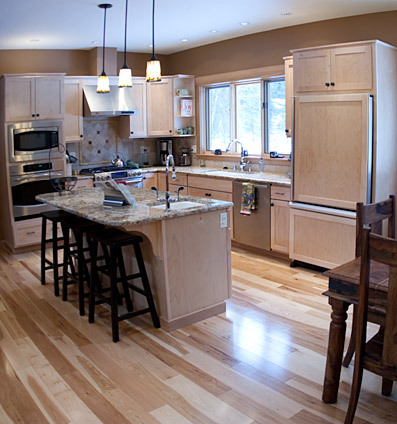 Testimonials and General Contractor Referrals for the Methow Valley. "We are very happy with the work done by Phil Dietz and his crew. Phil is a creative and flexible partner. With a mind on our budget and understanding of the local resources, he offered suggestions and did work that exceeded our expectations for our home. The finished product is beyond what we thought was possible considering our budgetary needs. We highly recommend Lost River Construction!" "We enjoyed working with Phil Dietz and the Lost River Construction (LRC) crew in the construction of our cabin/home in Mazama. Since this was our first undertaking of anything of this nature, we were nervous and hesitant going in to the project. Over time, we learned to rely on Phil to guide us through the step-by-step decision making process. The end result was that by working with LRC, we were able to build a better cabin than we had dreamed possible - within budget and on time. We wouldn't hesitate to recommend LRC to others. "